Source: InfoRhythm C-Metrics Data, 13 weeks ending Tue, 23 Apr 2019 00:08:33 GMT. Find out more. Source: InfoRhythm C-Metrics Data, 13 weeks ending 3/23/19. Find out more. CDA members unlock content custom-tailored for you. If you are not a member, visit the Membership Page. Obtain the latest information on Federal government issues of concern to your business. 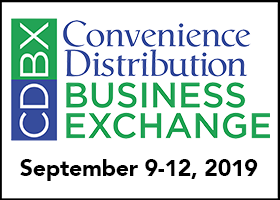 The only event of its kind that brings convenience distributors together with their supplier partners in a flexible business and networking environment. Consistently rated the best in the industry, featuring a series of pre-arranged meetings between distributors and supplier partners. The InfoMetrics and C-Metrics programs provide some of the best data around on what is selling and what is not in the convenience channel. Obtain the latest information on state government issues of concern to your business. The official magazine of CDA, covering a wide range of topics in the convenience products industry. Learn about industry reports, scholarships, online education and more. discuss ideas and issues with industry colleagues." what's important to our businesses. As distributors, we need to come here and represent the states that we operate in." “It’s truly been a fabulous event. I’ve met a lot of staffers for our Pennsylvania Senators and it’s gone really well. Jeff Allen, Allen Brothers Wholesale Distributors, Inc.